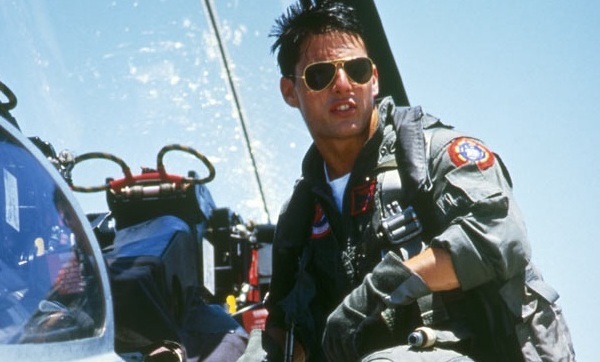 Aviator sunglasses are a style icon. Throughout the decades they’ve been a stylish accessory to protect one of our most important sensory assets – our eyes. So, when were sunglasses born? Some say for Hollywood, but they’d be wrong. Here’s a look at a bit of sunglass history and how aviation brought forth the sunglass styles we love today. 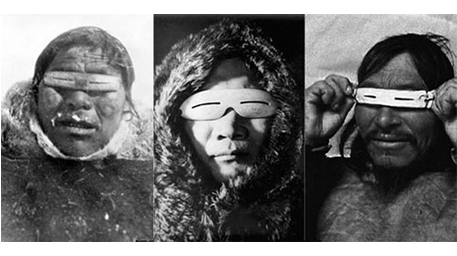 Eskimos used the first sunglasses. The weather conditions in icy temps caused a glare that was intensified by reflection off of the water, snow and ice. To be able to hunt, the early Inuit sliced a cross section of a walrus tusk, flattened it and then made slits in the material. Some string was used to tie the first sunglasses to the back of the head. That’s how sunglasses were invented! in 12th century China, sunglasses were made from flat panes of smoky quartz. During the First World War, the United States Army Air Corps contracted the optics manufacturer Bausch & Lomb to create sun blocking glasses for all of their pilots. Bausch & Lomb came back with the early version of what would become the now extremely popular aviator style sunglasses. The classic tear drop shape was perfect for pilots, offering ample vision protection. By the 1930s, sportsmen used aviators as well to protect their vision protected hunting or fishing. It was during the Second World War that aviators became famous. American General Douglas MacArthur wore his pair when the U.S. retook the Philippines. 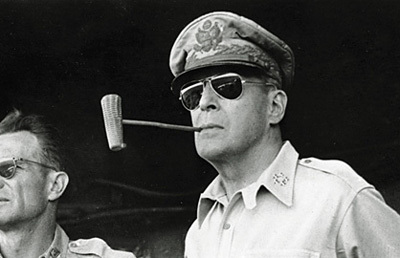 As a result, millions of Americans admired the heroic general in photos with his corn cob pipe, ornate hat and — aviator sunglasses. The popularity of aviators grew throughout the decades to follow. Celebrities would wear them on the movie set to protect their eyes from the bright lights. It was a problem for big time actors and actresses that often had red eyes from the powerful arc lamps needed with the slow speed film stocks that were used back then. Also, the rich and famous began using sunglasses to avoid recognition by fans and paparazzi. By then, aviators were being produced by many manufacturers. Aviators come in many shapes, styles and colors these days. They are a classic fashion accessory. Do you have a pair of aviators?